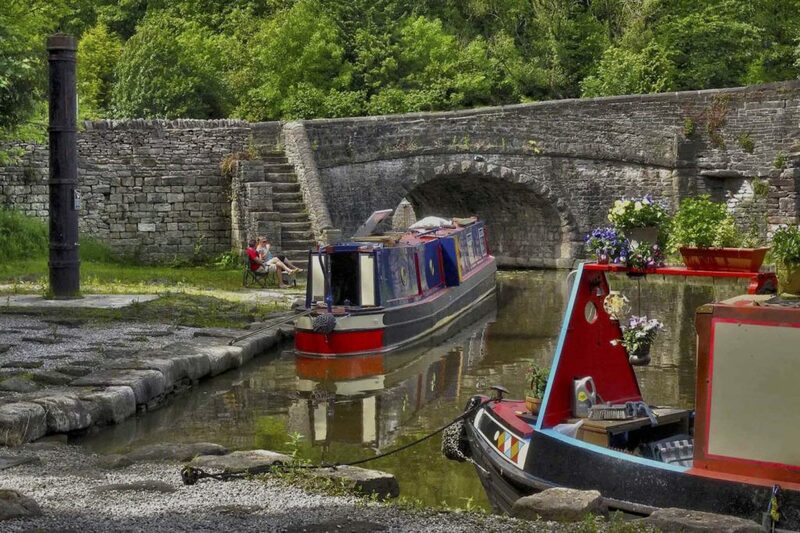 Bugsworth Canal Basin, the head of navigation of the Peak Forest Canal, was the largest and busiest inland port on Britain’s narrow canal system and the only one to survive intact. Famous canal and tramway engineer, Benjamin Outram, built the 14 mile long Peak Forest Canal from Dukinfield to Bugsworth, although plans to extend to Chapel Milton via Whitehough were never realised. Construction of the six mile Peak Forest Tramway in 1795 linked Bugsworth Basin to the limestone and gritstone quarries in Derbyshire, and the canal linked Bugsworth to Manchester and the trans-Pennine canal network. Starting in 1968, volunteers of the Inland Waterways Protection Society restored the canal and basins culminating in the re-opening to navigation in 2005. 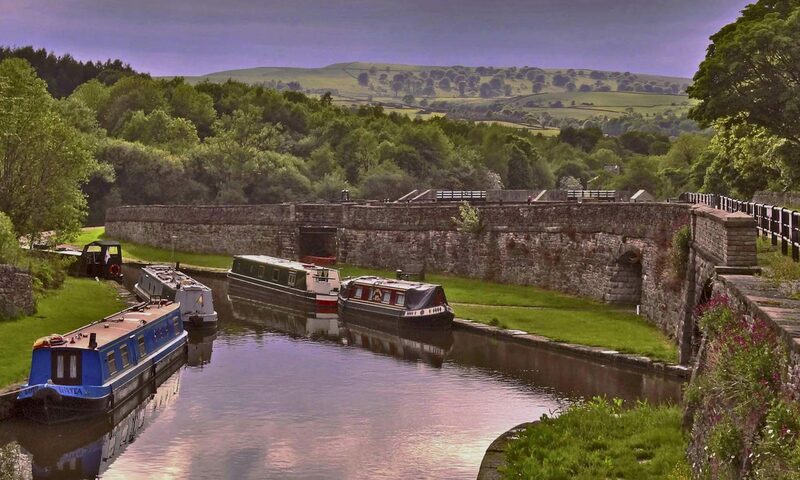 Now that restoration of navigation has been achieved, improvements and development continues under the new organisation name: the Bugsworth Basin Heritage Trust (BBHT). Follow the links above to find out more, or visit us and see this historic place for yourself.